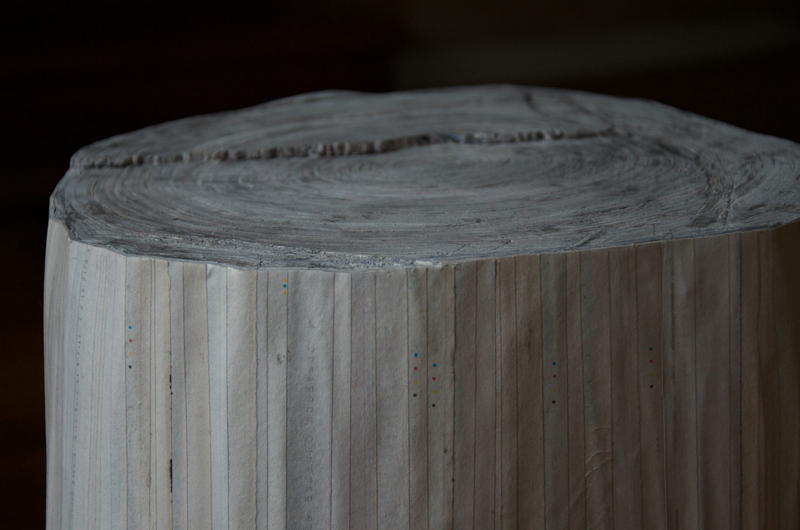 Entire New York Times Art section collected for a period of one year laminated into a solid tree stump. 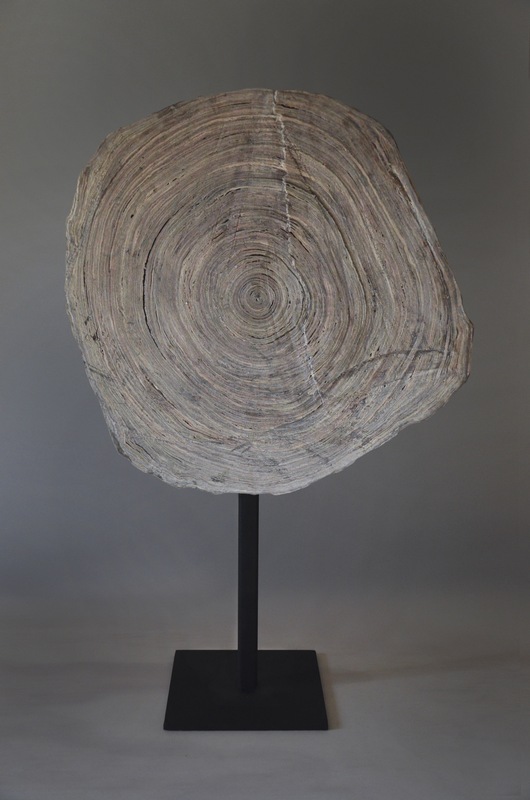 “Petrified Times ” engages the theme of the dominant media culture, information, and narratives, and its impact on reshaping the environment in both symbolic and physical way. 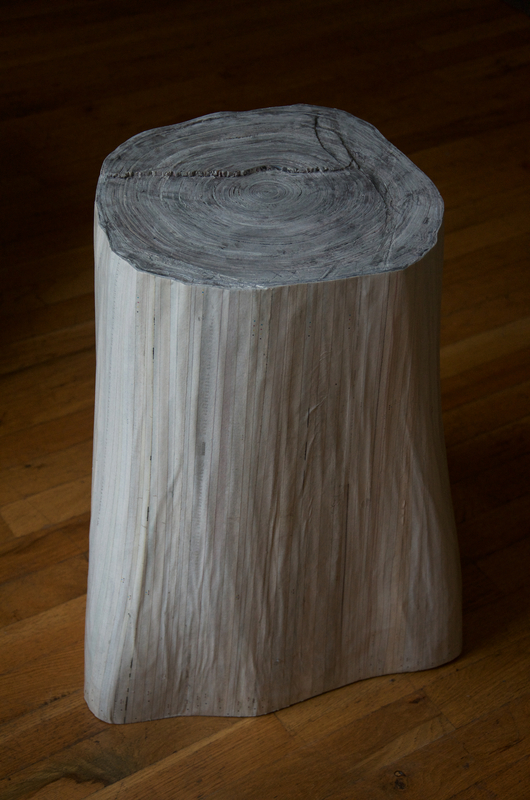 The project materializes in series of sculptural objects taking the forms of tree stumps and rings made of New York Times newspapers, collected for the period of one year and laminated into a solid block. They are made only from the newspaper of one section such as sports, politics, and arts. The individual pieces vary in size depending on the intensity of the media attention to the specific theme. 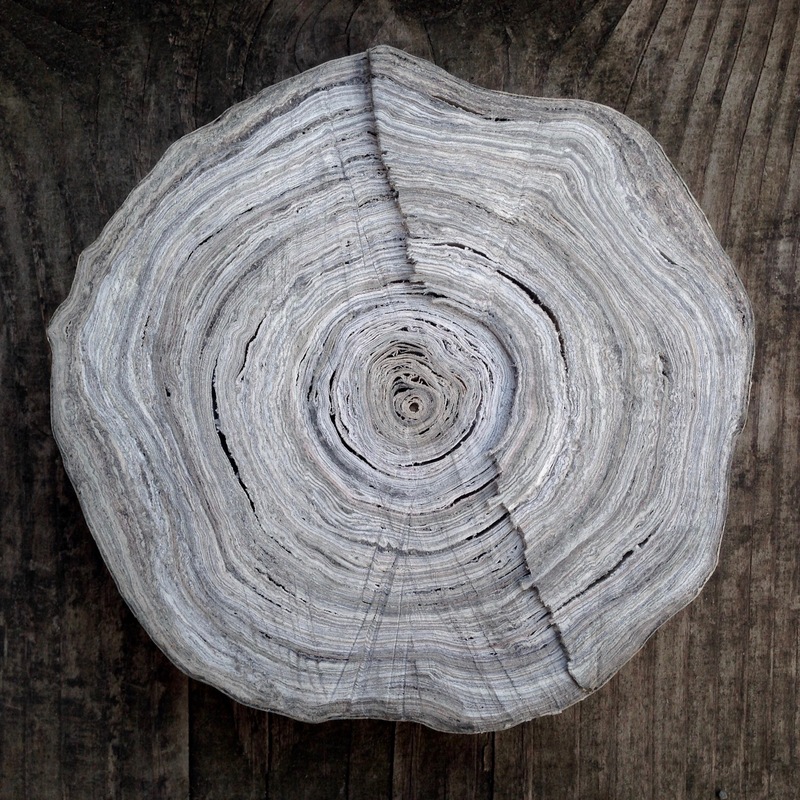 The layers of pages, text, and photographs transformed into annual rings with organic wood-like appearance recall the very source of the material from which the paper was made – the trees. 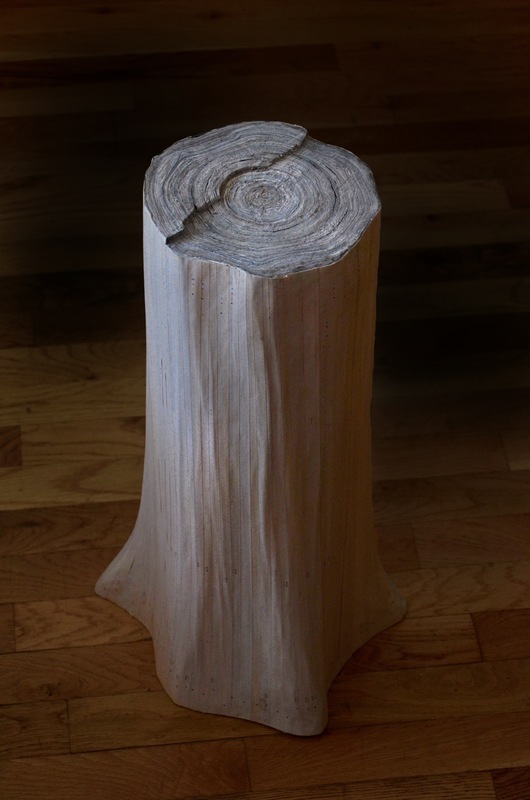 “Petrified Times ” considers the different perception of time in the culture and in nature, confronting the short-lived media affairs, an urgency of breaking news, temporary trends, and scandals with the slower and longstanding cycles in nature represented by the growth of the trees. While symbolically muting the content, reducing the volume of information into the physical mass, the project is a metaphor for the relativity and ephemerality of our affairs in time materializing our alienation from the environment. 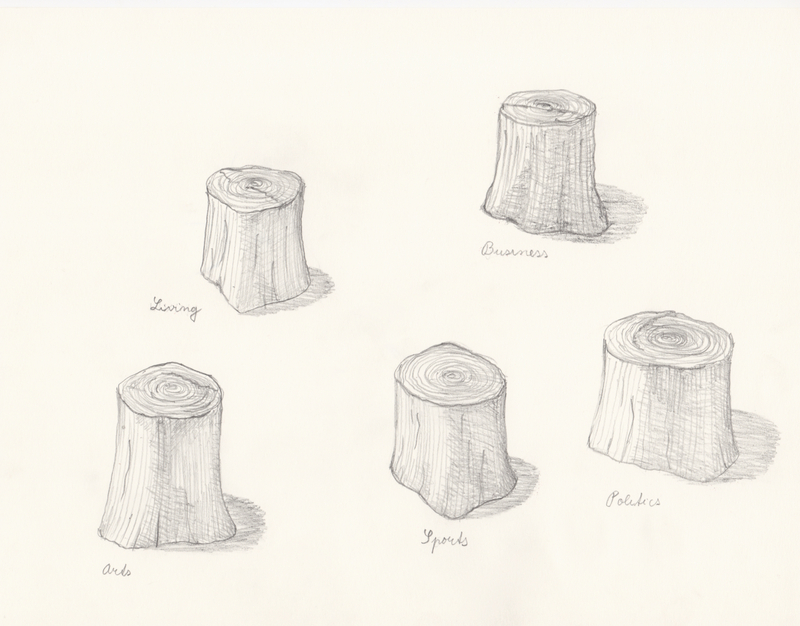 The final installation will consist of stumps placed together on the floor, as they would be in the forest, allowing viewers to walk between them. The installation functions as a metaphor for a clearing in the forest of information, offering a place to contemplate the environmental context of our media reality. 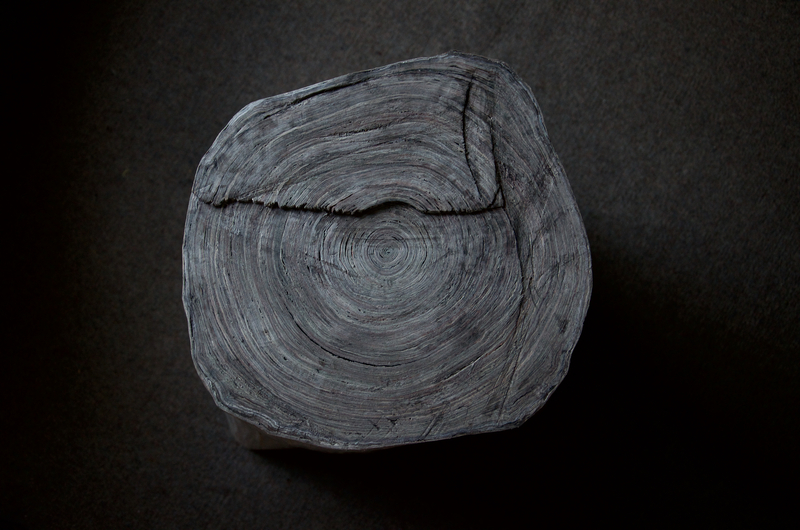 “Petrified Times ” is part of a larger body of work in which we develop projects based on the idea of archives, collections, and categorization of information to inquiring into the culture of disposal and environmental disconnection.